Tomorrow is Celiac Awareness Day. Celiac Disease is a condition that many of us are unaware of. But, research suggests that 3 million Americans suffer from Celiac Disease, and about 95% of people are completely undiagnosed. So, the first question is ‘What is Celiac Disease’? According to www.celiaccentral.org, Celiac Disease is “an autoimmune disorder triggered by the consumption of gluten, a protein found in wheat, barley and rye“. Can you think of the foods that you eat every day that contain gluten? Bread, pasta, cookies, muffins, oats… these are all the main things we think of when we think of gluten. But, gluten is also found in many dressings, gravy’s and other sauces. This disease definitely requires a change in lifestyle for those who are diagnosed. Are you concerned that you may have Celiac Disease? Getting diagnosed is the first step in getting help! In order to be sure, you’ll need to talk to your doctor about a celiac blood test. But, you can start by going through CeliacCentral.org’s Celiac Disease Symptoms Checklist. Keep in mind, it’s always possible that you feel like you have Celiac Disease but your test comes back negative. You may have non-celiac gluten sensitivity. Whatever level of sensitivity you may have, it’s important to know that there are answers. There are things you can change within your life to stop suffering. Have you already been diagnosed with Celiac Disease, or know someone who has? Living with Celiac Disease or a gluten allergy can be difficult, expensive and time consuming. 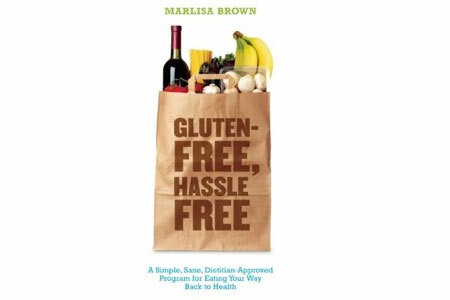 But, NCES offers a line of books aimed at helping you live with Celiac Disease. As more and more people are diagnosed with Celiac Disease, more resources have become available. So, always talk to your health care professional about resources that are available to you. To celebrate National Celiac Awareness Day, we’re taking 20% off the books in our Celiac/IBS & Gluten Free section for the rest of the week. Simply enter code ‘celiac’ upon checkout on the NCES website. Do you know of any other great resources for Celiac Disease or Gluten Allergies that we haven’t included? Be sure to leave it in the comments section for everyone to share! Or, you can visit us on Facebook or Twitter to share your thoughts with all of our friends and fans!